In September 2001, Carmen Rodriguez, a beautiful 32-year old Hartford mother of four, went missing. At first police were stymied...until a killer's crucial mistake led investigators down a long, dark road of cold, calculated murder... "Phelps is a first-rate investigator." - Dr. Michael M. Baden In 1987, single mother Mary Ellen Renard was strangled, repeatedly stabbed, and left for dead in her New Jersey apartment. Her vicious assailant had already killed once...and would kill again. But unlike the fiend's other victims, Mary Ellen lived to tell the tale... "Phelps gives readers an exclusive, insider's look." - Anne Bremner Clean-cut, popular and on the fast track at a multinational computer firm, Rutgers grad Edwin "Ned" Snelgrove shocked friends and colleagues with a plea bargain for Renard's brutal attack - and the heinous 1983 murder of college girlfriend Karen Osmun. 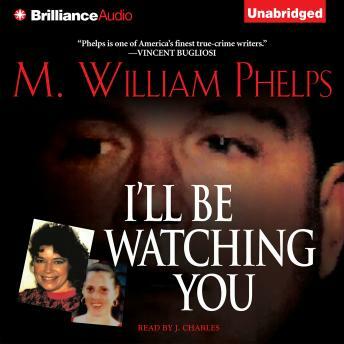 Vowing never to be caught again, Ned spent his time in prison obsessively studying the violent career of his idol Ted Bundy...then was released ten years early for good behavior... "Phelps proves that truth is more shocking than fiction." - Allison Brennan Unflinching and brilliantly researched, this is an exclusive tour into the twisted mind of an all-American killer...and a state attorney's tireless efforts to lock him away forever. The person reading the story does such an awful, horrible, sick and mocking job of it that I really had no choice but to swear off both the reader and the writer. I am sickened by the childish 'recreation' of certain ethnic voices and I am done with this joke of an author.